In 2017 when anyone can access the power of the media, the age of entrepreneurs, the go-getters, can writers do the same? Can we escape traditional routes like publishing houses and rely on self-publishing to help achieve our dreams? 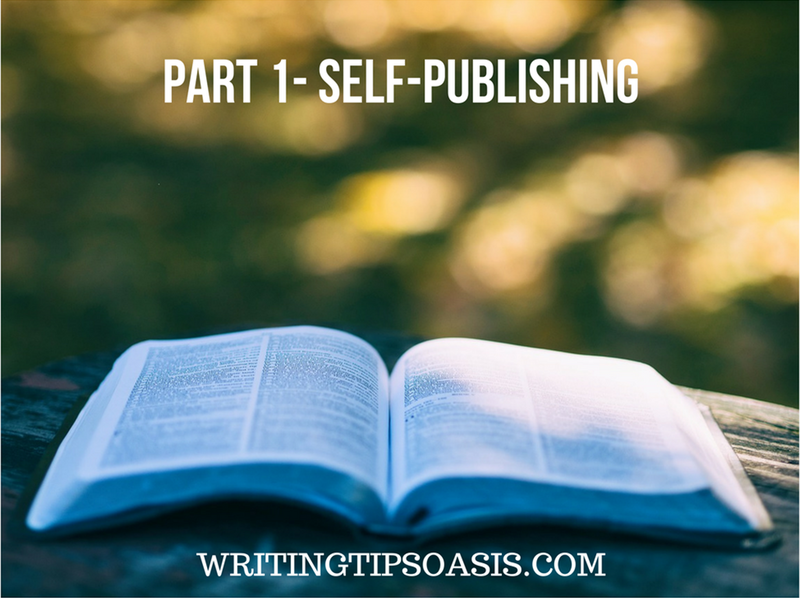 For many struggling authors and first timers, self-publishing has long been the chosen path. While a global phenomenon for years, it is slowly making its mark in India and authors are realizing that they can write their own success stories. It is easy to get dismayed because self-publishing does not have the same pull traditional publishing does. But if you write a good book, know your audience and sell it correctly then you will have a winner on your hands. You may remember a book called ‘Fifty Shades of Grey’ by E.L. James, sold more than 100 million copies worldwide. It was originally self-published as ‘Twilight’ fan fiction. And even though the staggering success of E.L. James is an exception and not the rule, it goes on to show that with hard work and good writing, success will follow. A mistake that writers often make is not treating writing like a business or a job. You are selling a product, a service and if your customer (in this case the reader) is unhappy he will not just move on but he will badmouth you. Quality is king, even with content and everything matters from the design, to the editing to the font and the promotion. Readers start to relate with their favorite authors and the favoritism helps when they just pick up any title because their favorite author wrote it. Use these things to your advantage and bring out the businessman in you by putting your best product out there. This guide on how to self-publish a book in India provides you with an extensive, detailed resource to self-publishing, planning your book, writing, editing and promoting it, which self-publishing platforms you should look at and finally being in control of the complete creative process. You need to become the perfect blend of artist and businessman if you want your book to be successful. It is also important that you realize self-publishing no longer means unprofessional or randomly put together content. The idea of authors self-publishing implies that since you know the book best, you also are in the best position to market, sell and promote it. 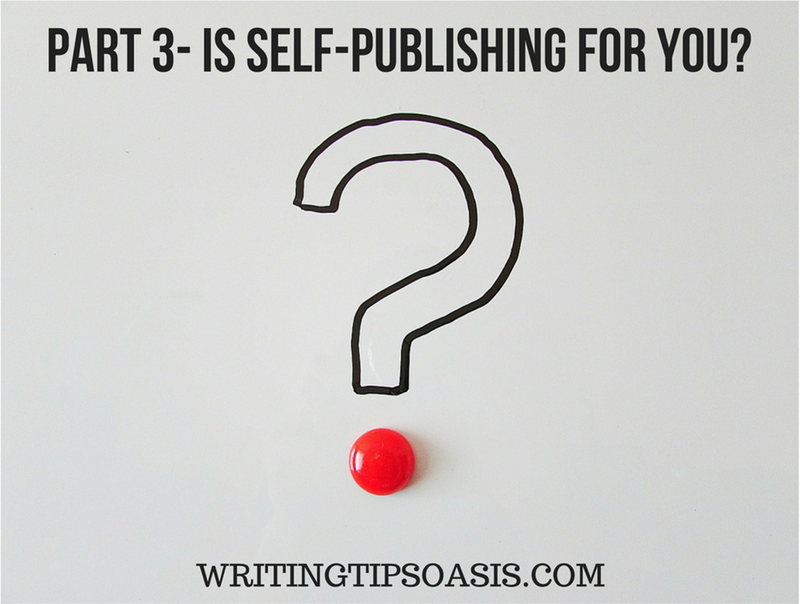 Part Three- Is self-publishing for you? Does self-publishing fit your requirement? ‘Self-Publishing’ is publishing a book in any form by the author without the involvement of a publishing house. The author is in complete control of the process right from design, font, marketing, distribution and public relations. You can outsource either the complete process or part of it to self-publishing platforms and companies that can guide you through it. Print-on-demand and e-books give authors the freedom to have a book printed or delivered digitally depending on placed orders. It helps save money and avoids the hassle of ready inventory for first timers. According to a recent report, more than 725k self-published works were registered alone in the United States in 2015. The ‘International Standard Book Number’ (ISBN) is a unique numeric commercial book identifier. It is required globally to identify your book title. An author can ask a self-publishing platform to provide him/her with an ISBN. As an author or writer, you should own the ISBN and copyright instead of using a number owned by the publishing house or platform. Partnership Publishing- Partnership Publishers charge a fee upfront from writers but the publishers back the authors for one or more books. Basically, the publishers believe in investing in first time talent and hoping that their belief pays off in the long run. There are possibilities of sharing royalties with the authors. Print-On-Demand Publishing- POD (Print-on-Demand) is a technology that allows you to print a single copy of your book without needing to use an offset print press. POD cuts costs and enables publishers to print books in low quantities. True self-publishing is what this guide will focus on where the author is the writer, the editor, the proofreader, the designer, the marketer, the promoter and the distributor of the book. Complete creative control from the writing to selling. You get to choose the marketer, designer and editor should you decide to hire them. You know your target audience so you are in the best position to market your book. Larger returns instead of the traditional royalties available to authors. ‘Jack of all trades, master of none’ can apply here. You may be a great writer but if you aren’t a great editor, designer, proofreader, marketer and public relations agent then your book suffers. Self-publishing saves you time and money but you don’t get the promotional advantages and shelf space that traditional publishers offer. Since you don’t have an agent, you have no objective party to help you navigate the ‘falling in love with your own idea’ path. India has an estimated market of Rs 10,000 crores, ranking it third after US and UK in English language publishing. While the market is still fragmented, it continues to grow. 19,000 publishers print almost 90,000 books per year with half of them being in English. With diversity in languages and a strong culture of reading that shows no sign of ebbing, you can find literature in all major languages like Hindi, Marathi, Malayalam, Bengali, Telugu and Tamil. The country is full of opportunities for first time authors if you know where to look. Self-publishing is divided into two markets in India- English books and Books written in Native languages. Self Publishing in English for Indian market leads you to companies like Amazon KDP, Pothi, White Falcon Publishing and CinnamonTeal Publishing. CinnamonTeal offers you everything from pre-publishing to distribution and sales. It also lets you publish in local Indian languages. Other platforms that publish books in regional languages are Dailyhunt and Matrubharti. Matrubharti in particular promotes itself as a platform for the Indian vernacular language writer. They even have an app where you can download free ebooks. The platform urges readers to connect with the writers; providing authors a reader’s perspective should they require it. ScholarGram lets you publish your dissertation and academic research for free. BooksFundr by White Falcon is India’s first crowd-funding platform for books. Authors are slowly discovering the power of self-publishing in India but it is in a nascent stage with issues like copyrights, sales and pricing still plaguing the authors. Now that you are aware of what self-publishing in India is like, you should start planning your book. This stage may not necessarily be the second stage; it can start simultaneously with you using our guide to understand self-publishing in India. But it helps to have a clear understanding of what you are dealing with before you put pen to paper. Traditional publishers have certain ideas in mind when approaching authors or reading submissions. Not all genres and stories have a place in a traditional publishing house. Narrow down your 3-5 top ideas for a book and focus on them. Spend time with the idea, develop storylines and try to realize the potential. Is it possible to make your story a trilogy, a collection of short stories or a comic book? Niche books tend to perform better in the self-publishing arena so spend some time coming up with a topic that has a hook and a specific audience. The advantage of self-publishing is things work faster and you can publish books in almost 6 months. But it is also a disadvantage for first time authors trying to do everything on their own. That is why it is very crucial that you plan and set your schedule. Dedicate certain hours of your day to researching, writing, rewriting and editing your book. If you have a full-time job then choose a time that helps you write. Some writers feel their creative juices flow the most at night, some prefer early morning, and some prefer writing for hours at a stretch, while some write for mere minutes. Know yourself, know your brain, and know your limits. It is ironic that to be published you already have to be published. 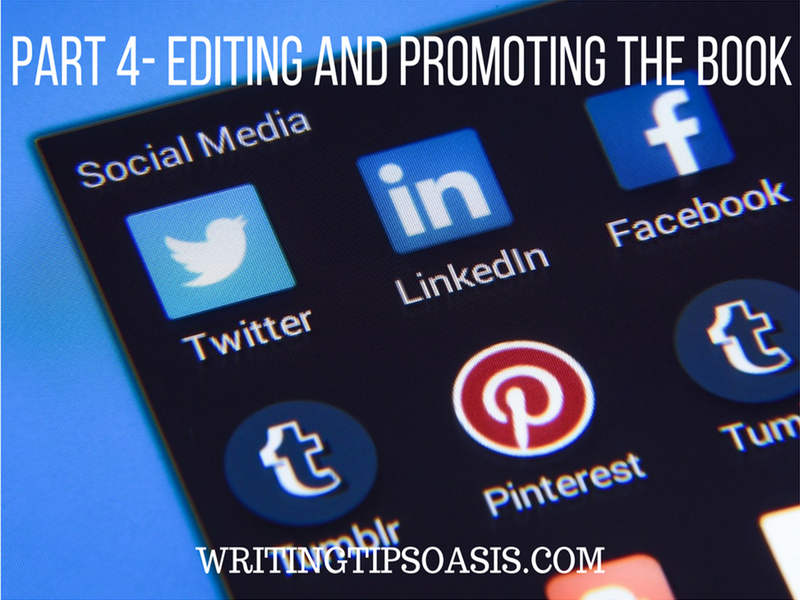 The advent of free blogs, Twitter, Facebook and Instagram is helping us spread the written word. Develop your writing skills by writing a blog, engaging with your audience and creating a fan base. The easiest way to get feedback is to leave feedback on other blogs, sharing your links and asking for comments. Join writers groups and workshops; attend online seminars and sessions to make your presence felt. If you are ready with your book, share excerpts on your blog or page or website to feel the audience reaction. You would be surprised at what insights you gain from your followers and readers. All the planning, researching and marketing won’t help if you don’t start writing. Self-publishing gives you an inside access to the world of decision makers by putting you in charge of your fate. Take your pen or tap your keyboard and start writing the book you have always wanted to. There are always going to be hurdles in choosing a non-conventional route. Self-publishing comes with its set of challenges that we mentioned earlier. For example, if your genre is too edgy or specific (like E.L. James’s ‘Fifty Shades of Grey), a traditional publishing house might reject it fearing it lacks the potential to scale. Self-publishing is a boon for disruptive genres or authors who want to test the waters without going through a long arduous process of submission, waiting and editing their content to suit the publishing house. Another aspect of self-publishing is you work alone so you need to be your toughest critic. It becomes your job to keep giving your mind a reality check every once in a while. Just because you can publish a book, doesn’t mean it will do well. Keep writing, keep practicing and keep putting your content out there. The beauty of self-publishing is you can keep writing books as and when you feel. A variety of options are available to you should you decide to self-publish. From just being a support to guiding you through everything, you can select packages or publishers who can give your book the exposure and support it needs. If you wish to publish in local Indian languages, opt for publishers like Matrubharti or Dailyhunt who specialize in regional content. You can research, and talk to other self-published writers to learn from their experiences. You can be the best writer in the world, but you will never be good enough to edit your own work. You need the help of an unbiased, cold-hearted, well meaning and supportive editor to check your work. Your editor has to be your best friend and your critic. They will be the ones guiding you, tweaking your work (probably your first work) and telling you what will sell. Check around for references; find ‘book doctors’ or consultants who specialize in editing books. Write 1-3 drafts before you send your manuscript for editing. Share it with a book lover or a family member or a writer to get a reader’s review. Make changes if you feel you need to and then send it to the copy editor. You can ask a self-publishing house for an editor but they might have an agenda of just publishing your book and moving on. An independent editor on the other hand will spend time getting to know you and your book and filter, edit, delete, add and change the things necessary to turn your book from a good one to a great one. Seek a formal copy edit from freelance editors who will focus on grammar, tone, style and consistency. It is also essential to get all your resources, facts and figures verified before you publish. Give yourself a month or two to find the right editor, 2-3 weeks for the editor to make changes and a week for you to review those changes. Once your changes are made, do a proofread of the final draft. EPUB- It works on most devices and can be created by saving your Word document as a text (.txt) file and then convert it and format it using a special software. MOBI- Amazon Kindle uses this format mostly and a lot of e-book readers have the option to read a MOBI file. PDF- PDF can be difficult to convert and not many readers have the configuration to read an e-book in PDF format. You can convert files easily but if not formatted properly, the result can seem haphazard or unprofessional. If your ebook has a special layout or illustrations then you need help to format and convert it. But if you have text in a linear form, it is pretty easy to do formatting and conversion on your own. You can use software like Vellum, Scrivener, PressBooks, Reedsy and Draft2Digital to produce your e-book files. Create an easy, unique title that comes up easily on Amazon and Google. Don’t make it similar to a famous book or movie because consumers will not spend a lot of time searching for a new author. If they can’t find your book in the first few pages of a search, chances of your book being bought and read go down. In an attempt to seem cool, don’t create a title that is vague and has no connection with your story. It should have a direct link to your story, the character or the location. Always have 2-3 versions ready so if one doesn’t sound right then you can go with another option. Before you start thinking about design, visit a bookstore and study covers you are instantly attracted to. Research online for e-books in genres similar to your books and see their thumbnails. What is it about the covers and back covers that attracted you? Do you want your book to have a compelling cover or a classic one? Use the covers as reference images or ideals when you start to meet designers. If you are thinking to publish only digitally, make sure you have a thumbnail image that stands out and conveys your book title and genre effectively. Finalize the title, subtitle and book description that will be used across platforms. Write 2-3 versions of the book description- a small one (30-50 words), a medium one (50-80 words) and a long one (80-150 words). You can use advance praise or blurbs on the cover. Start gathering those before the cover design process. Most e-books have only a front cover and no back cover design. If you are intending to print your book, then you have to wait till you know the exact page count, type of layout and paper used for printing. When producing a print and e-book edition, you have to ensure both versions have the same final text. A good designer should be able to help you with this, or you can hire an independent e-book formatting professional to do it for you. Before hiring a designer, ask them to send you some samples or give them a creative brief of your book (interior or exterior) to see if their sensibilities match with yours. Today it is easy to do both-print and digital, giving your book a fair chance to reach the audience in different forms. If you are concerned about printing being capital heavy, then there is a way out. Print-on-demand (POD) allows books to be printed one at a time, reducing financial risk and letting authors print small runs of books. The downside is you will have only few copies at hand and print at a higher price per unit. Traditional Offset Printing offers you better quality and low costs per unit but you need to print certain number of copies and incur the cost of storing them. If you are starting out, it is sensible to make a print run after getting a firm offer from a store or an institution. You can always use POD to have copies handy when giving talks or attending workshops or meeting future employees. For digital versions, use CreateSpace to produce a POD edition for Amazon. In India, you can use Pothi or CinnamonTeal Publishing. A news article mentioned that the POD business is expected to grow by almost 40% in India. Self-publishing companies will make your book available to stores but it is different from selling your book into bookstores. Bookstores rarely accept titles from POD companies because there needs to be a demand for such books from the customer. You can’t get the kind of distribution a traditionally published book will. This is a reality you have to be aware of. We mentioned earlier in the guide that a lot of writers fail to be business people. Pricing your book correctly is an act of balance. Price it too low and it won’t make money but if you price it too high nobody will buy it. To help you get started, use your online presence to gauge a reaction. Create a demand for the book by sharing bits with your readers, and encourage any self-publishing platform you’re thinking about using to offer you better royalty rates. Negotiate with the self-publishing company to give you a better deal. Optimize your Amazon page as the design, cover, your bio and your reviews affect your sales. Authors prefer Amazon since that’s where people go to look up a book usually. Set up an Amazon Author Central account to get helpful tips, reviews and look at sales figures. As a first-time author going at it alone, you may feel hesitant or afraid to ask for freebies or a good deal. The worse thing that can happen is they might say no. Don’t be afraid to fight for your book and save money where you possibly can. Sites like Pothi have a royalty calculator which can lend you an idea of how much to expect depending on your pages, size and color. White Falcon claims to offer 100% profit share to the author under his/her copyright. Your book is edited, designed, in e-book format, priced and ready to be distributed. E-book distribution is mainly free once your e-book files are ready. Self-publishing platforms charge you for formatting, editing, designing and printing, not distribution. The best part about distribution is nobody demands exclusivity so you can use two e-book distributors or online retailers or one of each, depending on your marketing strategy. An advantage of working directly with an online retailer is you get all the profits and access to marketing tools. E-book distributors are capable of reaching more than one online retailer at a time but they demand a share of your profit. You could distribute your book on Amazon through their do-it-yourself platform Amazon KDP. There has been a mention earlier in the guide about having an online presence, updating your Amazon page so it can affect sales and focusing on distribution to major outlets. Those are the early stages of setting up a marketing and promotional strategy for your book. We are not going to tell you what to write or how to write but rather how to sell what you write. The reason you need to have an online presence in any form is because it is really difficult to get new followers/customers/audience. Any social network you join is a mix of friends, family and colleague. So if your mom’s friend likes your post it may not necessarily mean anything. Posting the same content across different platforms is not going to yield results or recognition. How do you avoid falling into a trap of posting, sharing, tweeting but nobody noticing your book even exists? Invest in maintaining relationships with fellow readers and group members. You can create a whole database of people who already love a genre similar to yours and then target them across different social media. Connect with influencers by writing to them, mentioning what you love about their work and sharing a link. It can start small by liking their posts and sharing them. Authors tend to narrow their focus when it comes to their books. Your book and its characters have a lot more to offer than just a genre. Are there any organizations, restaurants or cities your book mentions? Reach out to them, even if you think they are already famous and don’t need publicity, a business opportunity can be beneficial to everyone. Promotion of a book is a time consuming process. It involves reaching out to a new audience, creating a fan base and making sure they spread the word. Avoid lackluster methods of just tweeting links or posting your e-book link everywhere. Ask your readers to leave a comment or a review on your blog, page or group. Don’t think that once your book sells successfully, you are done. Maintaining a healthy relationship between your readers, peers and influencers will always come in handy. Self-published books rarely get reviewed by people. It is up to you-the author to reach out to reviewers and ask them to give your book a read. How do you do that? You need to research for reviewers in your particular genre. It can be frustrating to be a reviewer of non-fiction and find a fiction novel in your inbox. Write a personalized email to the reviewer, talking about how you appreciate their work and why you would like them to give your book a review. Specify the format of your book and when will it be published. Reviews usually take time so be prepared to wait a while and do not hound the reviewer with emails or messages asking when you can expect a reply. Sometimes your query may not even be answered so be practical and leave the rest to the reviewer once you have asked them. Don’t ask for a positive review. Reviews are written for the benefits of the customers and a false review can only last that long. Be thankful and accept honest, clear reviews of your book that can eventually make you a better writer. Use Goodreads to reach out to reviewers. Amazon has a ‘Meet the Authors’ forum where you can introduce yourself and ask for reviews. You can also search on Facebook or Blogspot for blogs on books and novels. You may feel we are talking about 2-3 platforms a lot, but whether it is India or any other country, a lot of new authors are slowly discovering the empowering benefits of Amazon. It has opened a lot of doors in self-publishing and if you are writing in English, these options will make your life easy. This sums up our ultimate guide to self-publishing in India. It has all the details you need for a do-it-yourself approach to publishing. Self-publishing though is much more than just publishing a book and hoping others will buy it and read it. It is a relentless act of self-criticism, awareness and promotion. You need to have plans, backup plans and your backup plans need to have backup plans. The goal of this guide is to hand you all the information about self-publishing in India, and to also share the frustration of those authors who have been rejected, or are afraid to narrate their stories in a conventional medium. Indian authors can now use this method to reach out to their readers. This guide is your starting point, a one-stop checklist when you start writing because it has everything that you will need to self-publish a book in India. Never before in the history of books has the author wielded so much power. You can literally print your story without going through changes or edits from people who don’t have the same kind of commitment to the story as you do. Self-publishing is a moving industry. It can change completely in the next 6 months. New players can come in, disrupting the rules and making publishing an easy, seamless process that benefits the author and the reader. Indian readers will accept local literature, newer genres and edgier stories that can motivate first time authors to share their stories without fearing rejection from traditional publishers. While the process of actual self-publishing takes little to no time, promoting your book should be a slow and steady process. We may think some books are successful overnight but the hard work behind that success often lies hidden. To mention an example, Game of Thrones was first published in 1996. Almost 21 years it is the global phenomenon that enthralls millions of viewers and readers who can’t wait to know what happens next. You may want to start small. And you have to be comfortable working alone. It can get lonely and depressing because you have nobody to rely on, nobody to tell you what is going wrong and nobody to cheer you. As you progress, you will learn from your mistakes. Start writing and start publishing! How to Self-Publish a Book in India: The Ultimate Guide is an article from Writing Tips Oasis.